Robert Vadra on Sunday said he may play "a larger role in serving the people" after the ongoing cases against him are over, sparking speculation that he could join politics as the BJP threw "Congress's prime ministerial candidate" barb at him. He said, "First, I need to absolve from baseless accusations and allegations. But yes, I will start working on it." There is no hurry. People need to feel that I can make a change... All in time, he added. The Congress played down the suggestion that Vadra, the brother-in-law of party president Rahul Gandhi, wanted to join politics, saying he has long been associated with NGOs and worked for the society, and that it is everyone's duty to use their qualities to serve the people. "Will he need Modi ji (Prime Minister Narendra Modi) permission to do work related to people?" Congress spokesperson Pawan Khera said at a press conference when asked about Vadra's "hint" that he may join politics. Such hints are for the media to draw, Khera added. In a Facebook post, Vadra wrote about years and months he spent campaigning and working in different parts of the country, mainly in Uttar Pradesh, and claimed that it gave him a feeling to do more for the people. 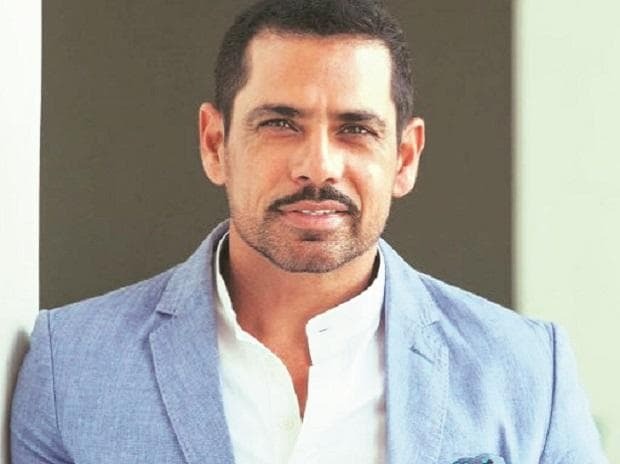 "All these years of experience and learning cannot be just wasted and should be put to better use... Once all these accusations and allegations are over, I feel I should dedicate a larger role in serving the people," Vadra, who is Congress general secretary for Uttar Pradesh (East) Priyanka Gandhi's husband, said. Priyanka Gandhi had joined active politics recently and was made the party's general secretary. Investigating agencies have been probing him in criminal cases of alleged corruption and money laundering, charges often dismissed as a political vendetta by Vadra. Different governments, he alleged in the post, have maligned him and used his name to divert attentions from the country's real issues. The BJP in a tweet tagged a story of Vadra hinting at joining politics to take aims at the Congress. "Presenting Congress' Prime Ministerial candidate for Lok Sabha elections," the BJP tweeted. The BJP has often cited the controversial land deals involving Vadra to target the opposition party, claiming that it symbolised the "corruption" under the UPA rule.